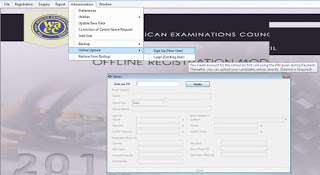 How to Create WAEC School Account through WAEC Offline Registration Software. You can leave this page open, while you create your WAEC Account profile in another window, and use this as a guide. For you to carry out this process successful, your system has to be connect to an internet. 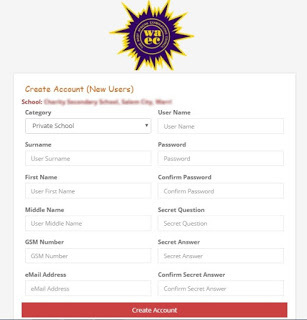 Login Info:– User Id, password, Security question and answer. Examination Officer Info:– Surname, first name, other names, email address, School Phone No, Examination, Officer No. 3. Type in the pin given to you at waec office after payment. 5. Fill in all the information as provided by the form. 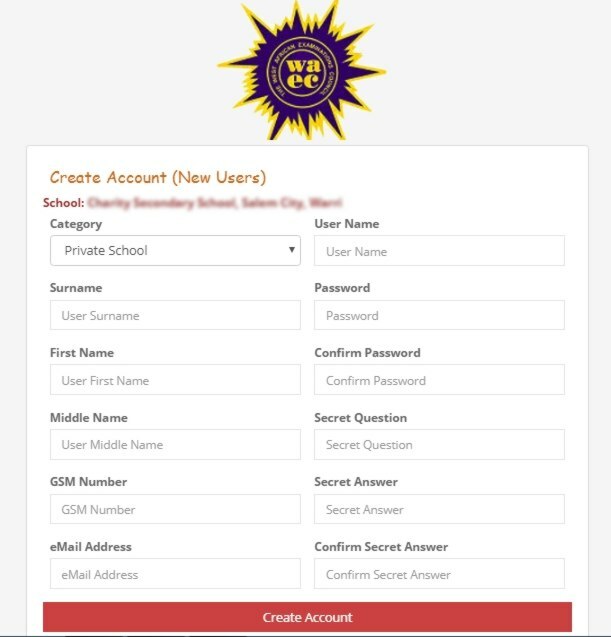 Your School Category, user name, surname, first name, middle name, gsm number, email address, security question and answer, password to login into your waec wassce school account. 6. Once you are sure of all the above information, click on “Create Account”. That’s all, your account will be created immediately. You should see a message that says “Your Account Creation Was Successful.” You can click on “Proceed to Login” to access your new profile.